Polmark Beach Cottages are a stone’s throw from the beach at Harlyn Bay, which is an ideal surfing location. 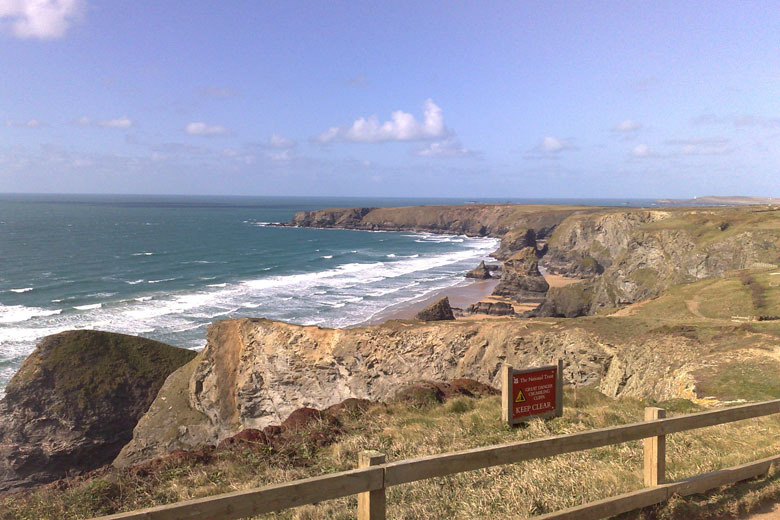 Indeed, Harlyn Bay is highly regarded amongst surfers on the North Coast, thanks to its north facing direction and gentle incline. Polmark Beach Cottages are within easy carrying distance of the beach. Harlyn has summer lifeguard cover and is rated highly by the Environment Agency for novice surfers and good water quality. Harlyn Bay has its own surf school, Harlyn Surf School. There are plenty of surf schools but Harlyn Surf School has been rated highly by The Times, Sunday Times, Guardian and Time Out. 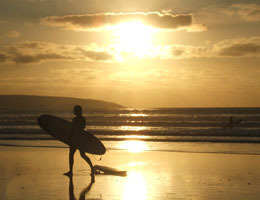 We even have an exclusive 10% off deal on surfing and watersports packages on behalf of our guests. They offer tuition to all levels in a variety of watersports: including lifeguard and surf instructor courses, paddleboarding, kayaking and coasteering. We will send you instructions of how to claim your discount with your booking confirmation email.